Towels are to be brought along, bed linen is included. Picturesque on a plateau above the Krippental, at the foot of the small Zschirnsteins, is Kleingießhübel. How protectively rises the small Zschirnstein above the idyllic village surrounded by woods all around. The Wanderer offers from the slopes above the settlement delightful views - tranquil countryside Our house in a quiet location in Kleingießhübel located in the middle of Saxon Switzerland and is an ideal starting point for excursions in the near and far. There are in the house two apartments available. A large apartment for 4 people and a smaller one for 2 persons. Sehr herzlicher Empfang, sehr sauber, Bettwäsche und Handtücher inkl., ruhig, unkompliziert, entspannt, sehr gutes Preis-Leistungsverhältnis. Gerne wieder. Picturesque on a plateau above the Krippental, at the foot of the small Zschirnsteins, is Kleingießhübel. How protectively rises the small Zschirnstein above the idyllic village surrounded by woods all around. The Wanderer offers from the slopes above the settlement delightful views - tranquil landscape. 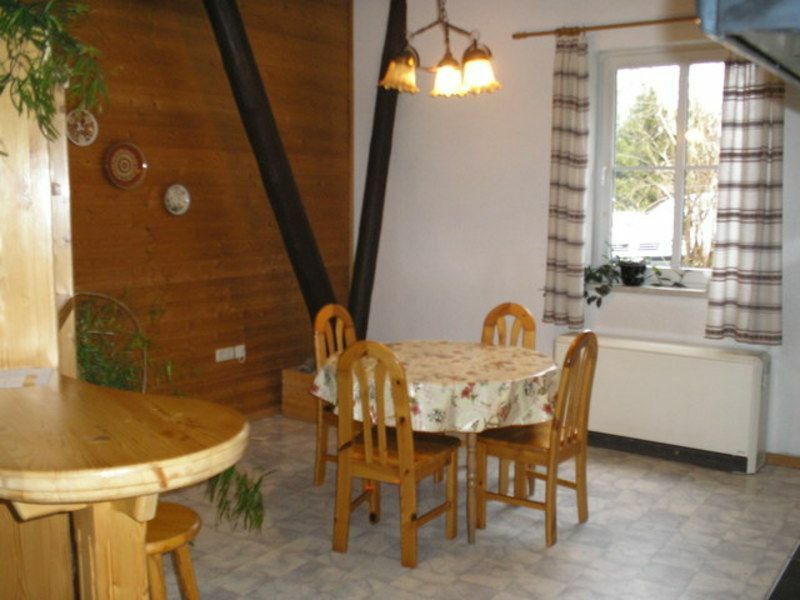 Our house in a quiet location in Kleingießhübel located in the middle of Saxon Switzerland and is an ideal starting point for excursions in the near and far. There are in the house two apartments available. A large apartment for 4 people and a smaller one for 2 persons.